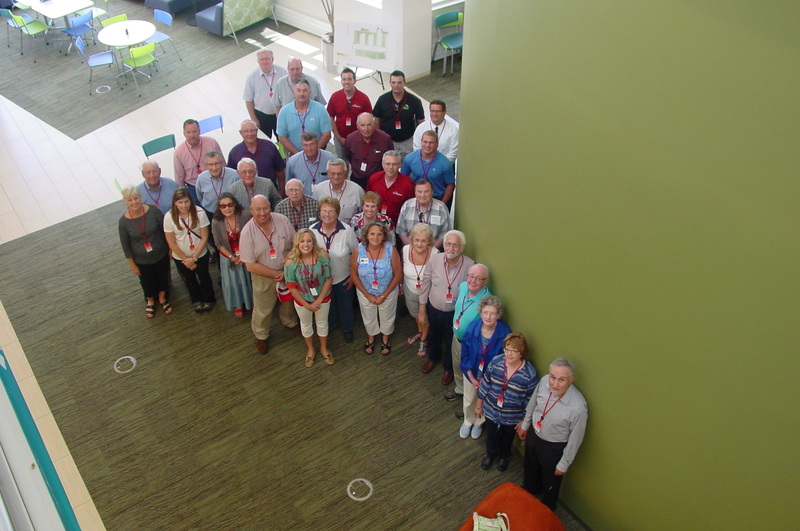 Approximately 45 members and friends of the Nebraska Agribusiness Club had a great day for a tour on June 2 as we headed to Omaha to tour Rotella’s Bakery Plant, Midwest Labs, Farm Credit Services, Claas and Nebraska Brewing Company. We started the day at Rotella’s Italian Bakery. Most of us have either seen or bought the Rotella brand of bread, so it was interesting to visualize the process behind the red, white, and green packaged loaf. One of the most striking things to me was that this business started with one man raising his own wheat, grinding it to flour, and selling the bread to local customers in 1850 in Italy. 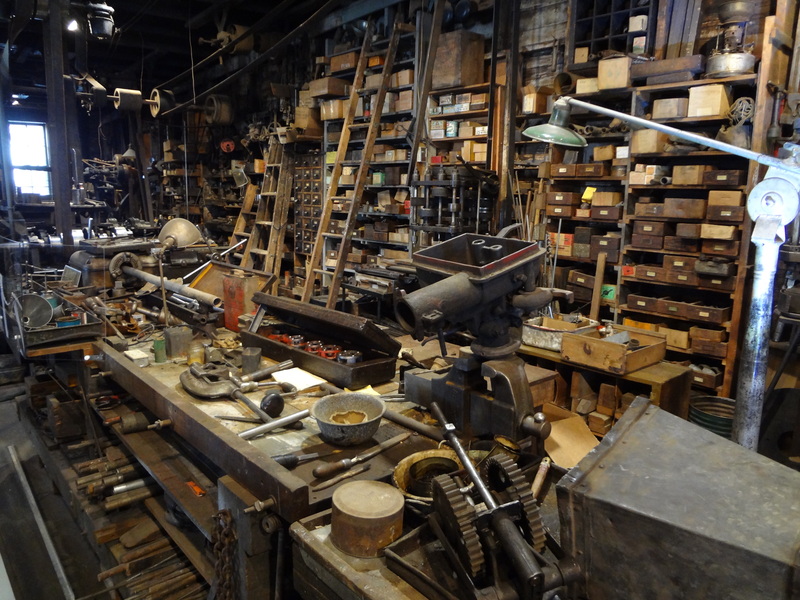 This business continues to strive today in the 5th generation. 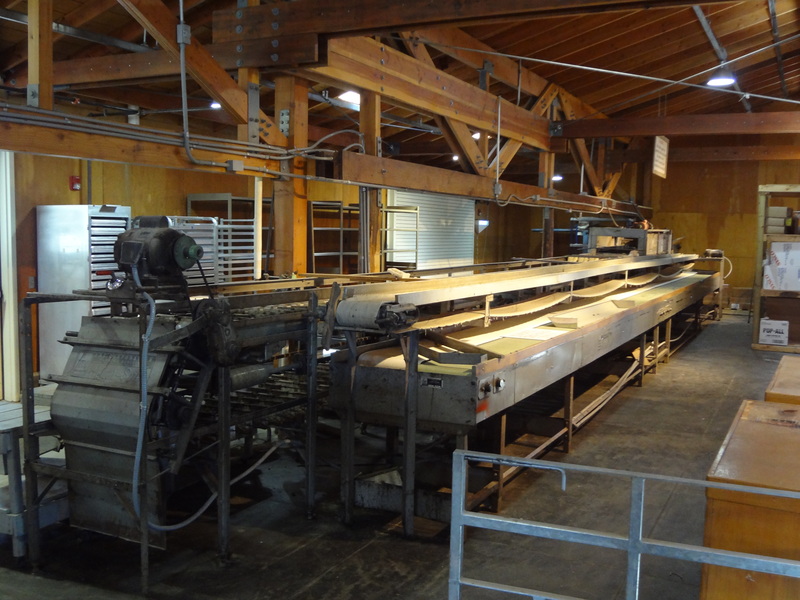 Rotella’s story reminded me of a lot of our family farm stories- started with one family’s ambitious, entrepreneurial spirit and has made it through the tests of time with sweat, persistence, and new technology. Our next stop was Midwest Labs. 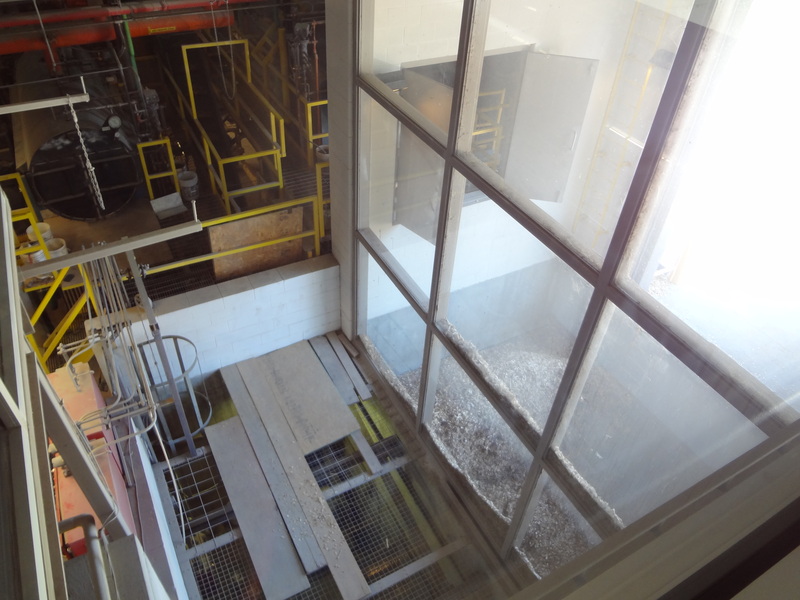 This company will test anything related to agriculture, environmental, feed/pet food, human food, and fuel. It was amazing how much technology is utilized to find exact data. We even got to see the brand new lab that will be utilized by the human food department, since human food research has expanded so much that the department has outgrown its current area. Our group was ready for lunch by the time we got to Farm Credit Services of America. We were treated to a delicious lunch by FCS as we heard a rundown of the organization. 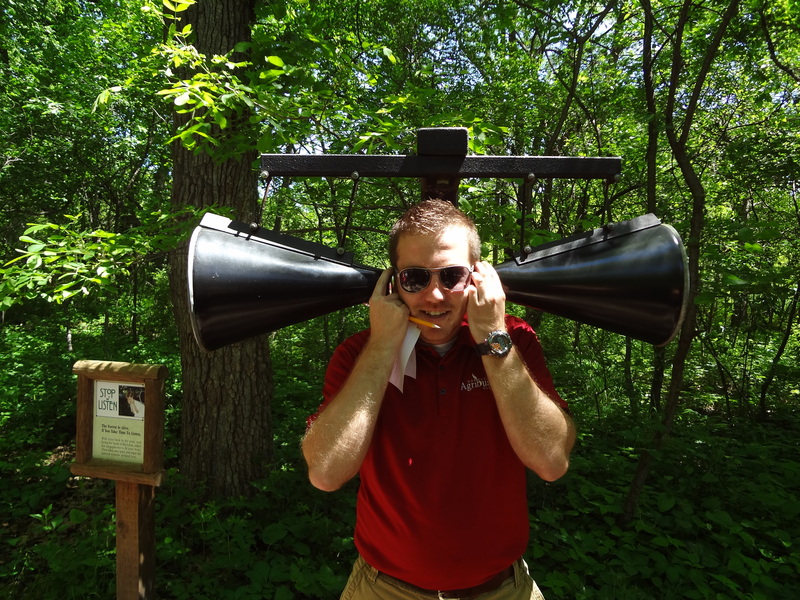 As we spoke with the employees and toured the facilities, many reasons were evident that FCS was voted Best Place to Work in both Omaha and Iowa. FCS employees work together in teams and enjoy a very horizontal structure. It is also notable that the FCS building itself was beautiful. Every piece of architecture was meant to represent a piece of agriculture. The staircases looked like augers, carpet looked like grass, and brick looked like wheat swaying in the breeze-just to name a couple of features. It was obvious that FCS is passionate about agriculture and helping rural America prosper. The atmosphere was so vibrant and full of energy that I would love to get the chance to be able to work with or for Farm Credit Services of America someday. The German company, CLAAS Manufacturing, was our next stop. Since our agricultural machinery market is dominated by John Deere and Case IH, I was not very familiar with CLAAS. I learned that CLAAS makes the majority of combines and tractors in Europe, but expanded to North America in 1979. You probably associate CLAAS with Caterpillar since they were run cooperatively from 1999 to 2002. This is why you have seen CLAAS equipment in Caterpillar’s mustard yellow color. However, CLAAS has been independent since 2002 and will soon start producing combines in their actual lime green, red, and white colors. Omaha is the North American CLAAS headquarters, where we got to watch LEXION combines move down the assembly line. Only about 40% of the pieces for the combines are U.S. sourced; the rest of the work and assembly is done in Germany, such as the painting. However, most of it gets put together in Omaha, which takes about a week. CLAAS is expanding rapidly in the North American market, and I think that they will continue to become more and more common to see in our fields. The Nebraska Brewing Company, a much anticipated last stop, was a refreshing end to our day. Our group was walked through the process of beer making. We learned that the color of the beer did not indicate the alcohol concentration- it was actually the hops added to the process. The members of our group enjoyed being treated to a free sample of the specialty beers. The Nebraska Brewing Company is increasing capacity and business quickly, and it was exciting to see their progress. Overall, this was a day well spent. I think it is important for individuals to get out in the world and experience things that they are not used to. If this does not happen, it is all too easy to become narrow–minded instead of considering how actions will affect the whole industry. 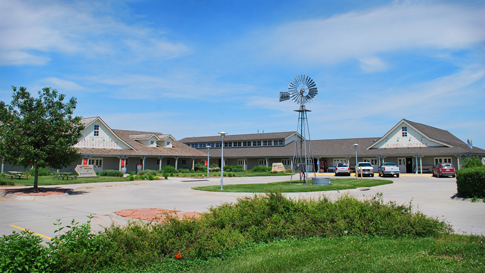 The Nebraska Agribusiness Club is a group of warm, welcoming individuals who have a lot of interesting stories to share. This is an outstanding professional organization to get involved in if you like meeting new people and learning about agriculture. Find all picture on our Facebook page! A big thanks to Club Vice President, Doug Carr, for setting up the tour!! The Nebraska Agribusiness Club would like to announce that nomination forms for the Public Service to Agriculture and New Horizon awards are now available. 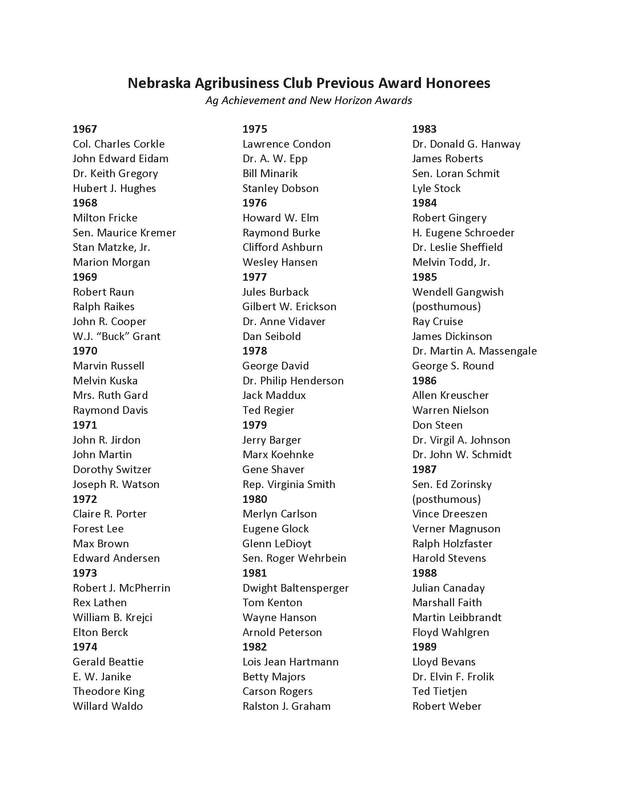 The Public Service to Agriculture award has been presented annually since 1967. The award recognizes individuals who have made significant contributions to Nebraska agriculture and Nebraska agribusiness. The New Horizon Award is an award that recognizes individuals 40 years of age and younger who are upcoming leaders in the agricultural industry. Nominations for both awards are due by July 15, 2014. Nominations are encouraged from non-club members, as well as club members. The nomination forms and more information can be found at the links below or by e-mailing nebraskaagribusinessclub@gmail.com. Click here for nomination guidelines. 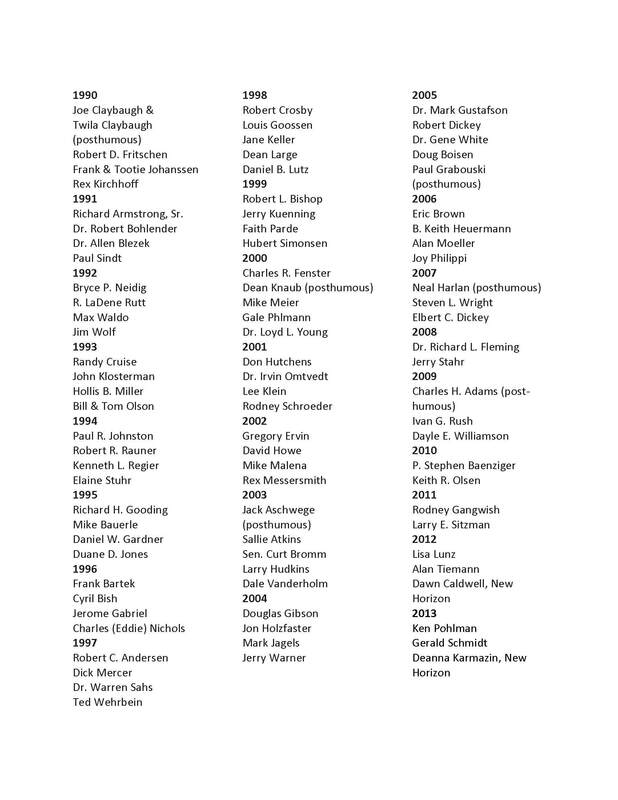 Below is a list of the Award Honorees from 1967-2013 — that’s 46 years of our Club awarding individuals for their agricultural achievements. What a legacy! March 3rd Meeting RSVP: NEW LOCATION! 12:05-12:20 We will hear from Chris Linville on what we have planned for Ag Week and Ag Day. Please RSVP with the form below if you are planning to attend. If you CANNOT attend after you have RSVP’d, please email nebraskaagribusinessclub@gmail.com. Even though we had great attendance last month, many people who had RSVP’d did not attend, which left us with a lot of food left over. Thanks! 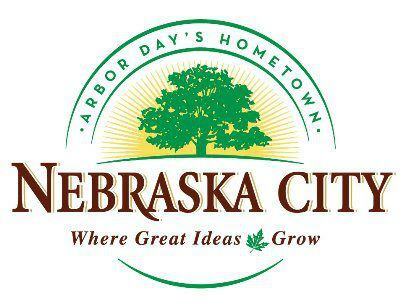 Join the Nebraska Agribusiness Club for the January 6, 2014 ‘Lunch-n-Learn’ meeting at the Lancaster Extension Education Center, 444 Cherry Creek Road, Lincoln, NE. Click here for directions. The first meeting of the year will be an exciting one! Club Board members and officers will be announcing and explaining some of the important structure changes to the Club. Additionally, the club will be presenting checks to the four groups we provide sponsorship to, and allow them a few minutes to present to the group. We will also recap what we discuss during the Board planning meeting and ask for volunteers to help carry out the many exciting projects we have planned. We also encourage you to bring a potential new member! Share with them the importance of being involved in our Club and encourage them to participate with us. 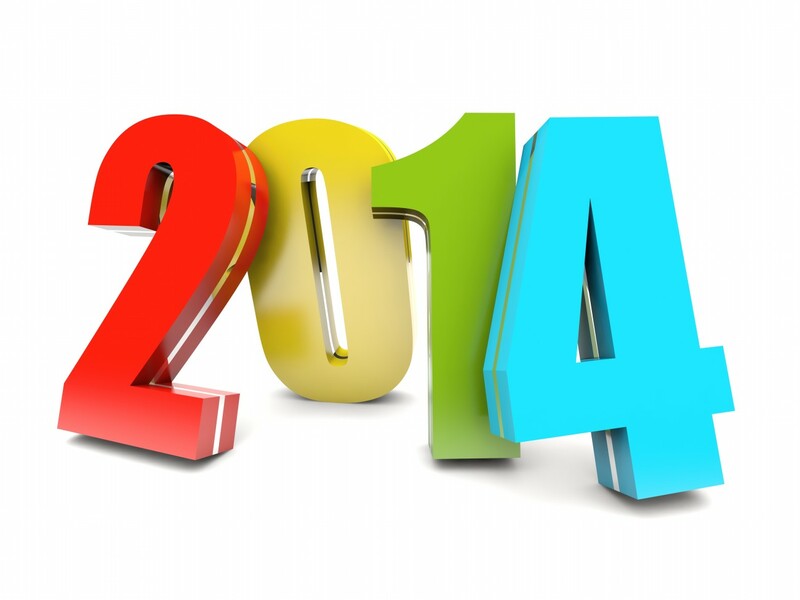 Dues for 2014 will be due at this January meeting. Feel free to fill out the 2014 membership form and bring it with you or send to the address listed. Buffet lunch will begin at 11:30 a.m., with the program starting at 12:20 p.m. Meeting registration, which includes lunch, is $10 per person (unless you have already paid for the inclusive membership). Guests are $10 per person. RSVP below or on the RSVP page by December 20 at 5:00 p.m.! 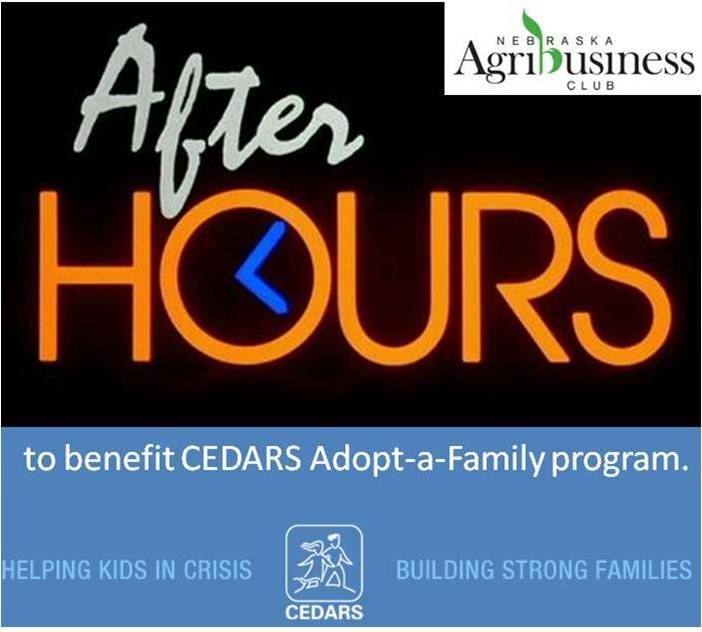 For the third straight year, the Nebraska Agribusiness Club is adopting a family through the CEDARS program. Again this year, the club held an After Hours even to raise donations for the family – $375. Read about our adopted families in 2011 and 2012. The “adopted” family this year is Genni and Justin. They are the parents of a 7-month-old son, Aaron and are expecting another child in April. Justin suffers from PTSD from being in Afghanistan and is working with the local VA Hospital to manage his depression. He has not been able to work since coming home from the war. Genni works part time and is the sole provider for the family. They have been involved in the CEDARS Healthy Families America program since September 2013. Genni did not breastfeed as long as she hoped with Aaron, and really wants to be successful in breastfeeding her new baby for at least one year. Genni and Justin do not have family in town and they won’t be seeing them this Christmas either, so having a family in town “adopt” them would be special to them. Aaron is a 7 month old boy who loves crawling around and being on the floor playing and reading books. For Christmas, Aaron would love a Vtech alphabet activity cube or a Fisher Price laugh & learn stride to ride puppy. He would also enjoy a Baby Einstein Sea Dreams soother or board books like Goodnight Moon, The Giving Tree, and I Love You Forever. He will be wearing 12-18 months and needs footie pajamas (non character preferably), and fun socks (polka dots or stripes). Aaron LOVES music so any Baby Einstein Baby Bach & Baby Mozart cd’s Rock-a-bye Baby Lullaby Renditions would be perfect. A few of the club officers shopped for the family this week and the CEDARS staff was very appreciative of the donation. Welcome-Back Social @ the Lincoln Saltdogs Game! 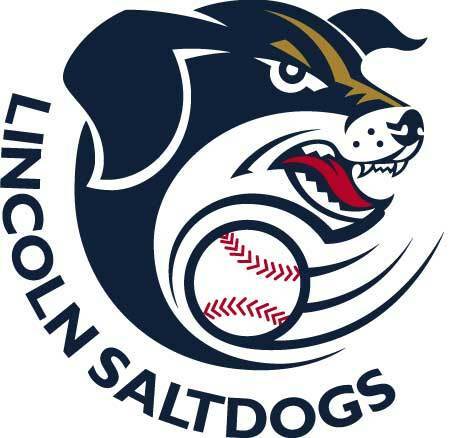 The Nebraska Agribusiness Club invites you to our welcome-back social for a Lincoln Saltdogs baseball game on Wednesday, August 7th! Bring your peers & family for an evening of fun & socializing! Cost: All-Inclusive members are FREE (but you still need to RSVP). $10/per person for regular members & guests. Kids 2 & under are free. Cost of ticket includes game admission + all-you-can-eat food (hamburgers, hot dogs, coleslaw, baked beans) & unlimited soda (alcoholic beverages available for purchase). Please use the form below to RSVP by July 29th. Take me out to the ballgame for the Omaha Storm Chasers Ag Night! Members of the Nebraska Agribusiness Club are invited to attend the Omaha Storm Chasers Ag Night. This fun filled night of baseball is being planned to provide fans with an appreciation for the importance of agriculture. Several agriculture businesses and organizations will be on site with promotional and educational displays. This year’s game is the evening of Tuesday, July 23rd with first pitch at 7:05 pm. Nebraska Agribusiness Club has access to group seats. Tickets are available for $9.00 each (ticket prices will be reduced to $7.00 if 20 or more tickets are reserved). To reserve tickets complete the form below or CLICK HERE by July 7th. After July 7th, those who have reserved tickets will be notified of the final cost of the tickets, and provided details on payment. Tickets are not limited to members. Invite your family, friends and co-workers for a great evening of baseball fun! The Nebraska Agribusiness Club Tour was a success! Thank you to those who were able to join us. The day started out heading East from Lincoln to Nebraska City. 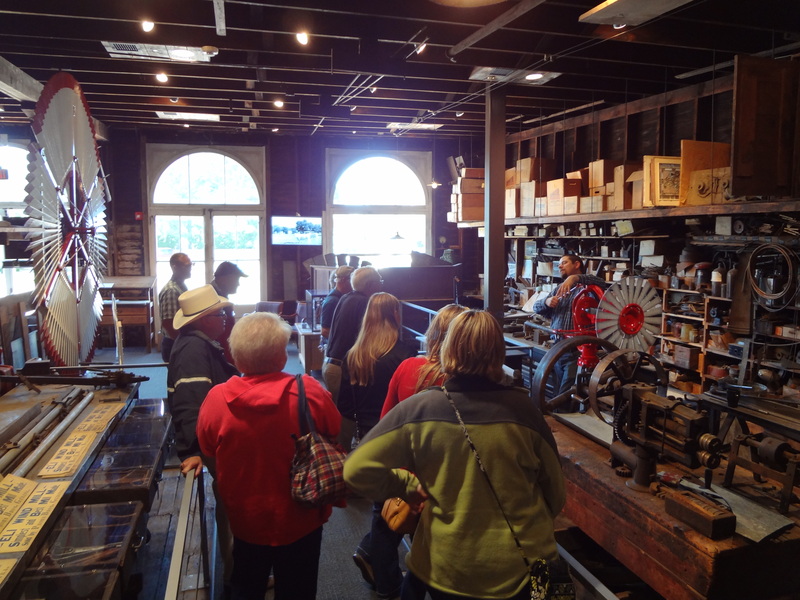 The first stop was the Kregel Windmill Factory Museum. 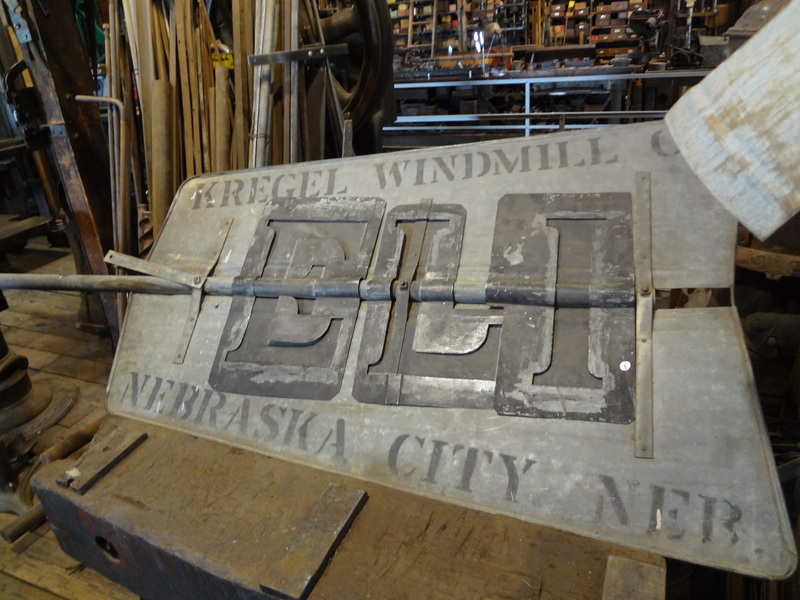 The museum just opened to the public this past April and was a great display of the Kregel family’s business of water-pumping windmills. For more history, click here. 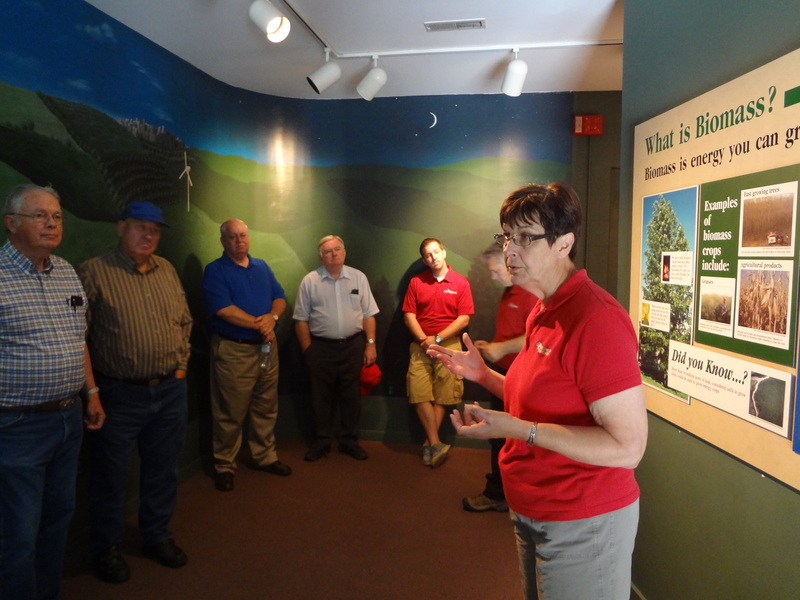 Next the tour took us to the Arbor Tree Farm where we had a Renewable Fuels Tour and completed an Awesome Adventure, much like an Amazing Race competition. We were able to learn about wildlife, the farm, the greenhouse and more during this adventure. 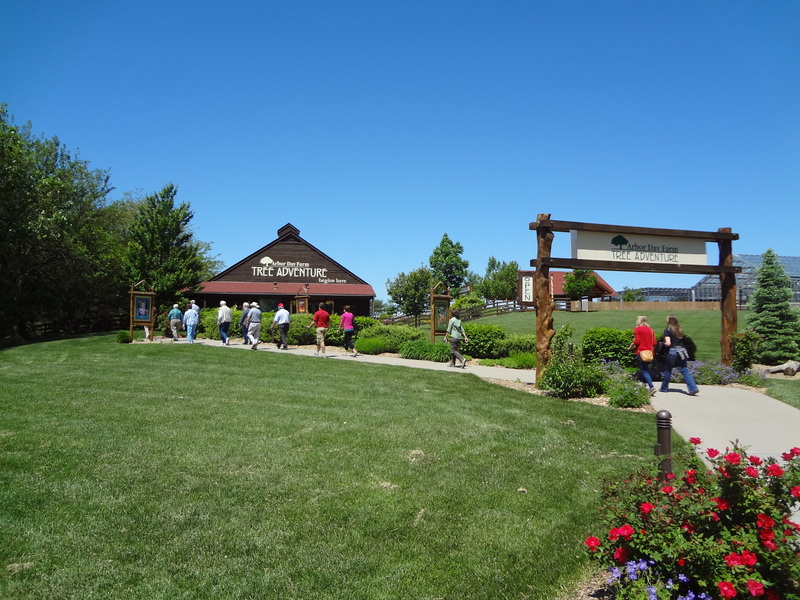 Kimmel Orchard and Vineyard hosted the group for lunch where were given a great intro on their history and their business, as well as a hayrack ride and wine tasting/apple barn tour. To see all of the pictures from the tour, see our Facebook photo album. 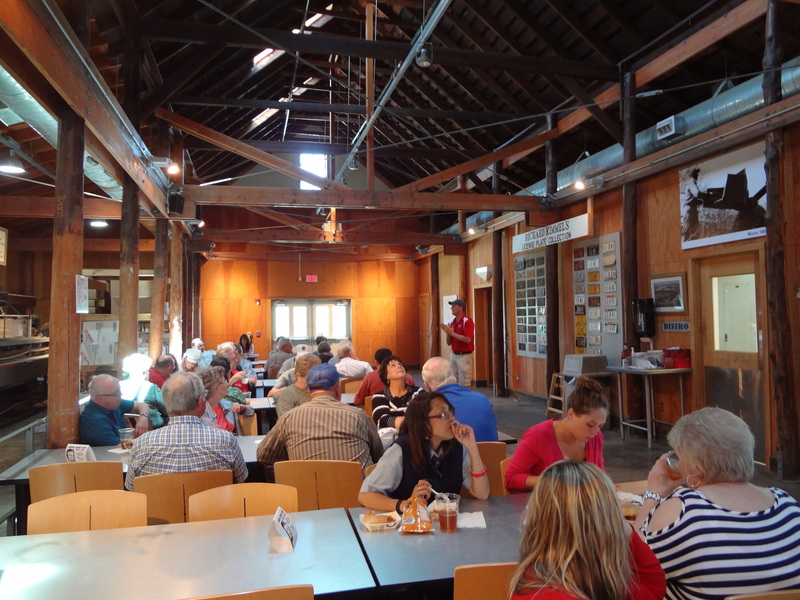 Club members and guests heard from Dan Rice of PrairieLand Dairy at the May Lunch -n-Learn meeting in Lincoln. Dan shared about his role at the dairy, the future direction and plans for the business. Please watch it if you missed the meeting! 3) Snacks and bottled water will be provided on the bus as lunch won’t be served until 1:00 pm, but feel free to bring your own snacks/beverages on the bus. RSVP here by Friday, May 24. Seating on the bus is limited to the first 50. We know some will be driving separately, so on the RSVP form, please note if you’ll be riding the bus or driving separately.